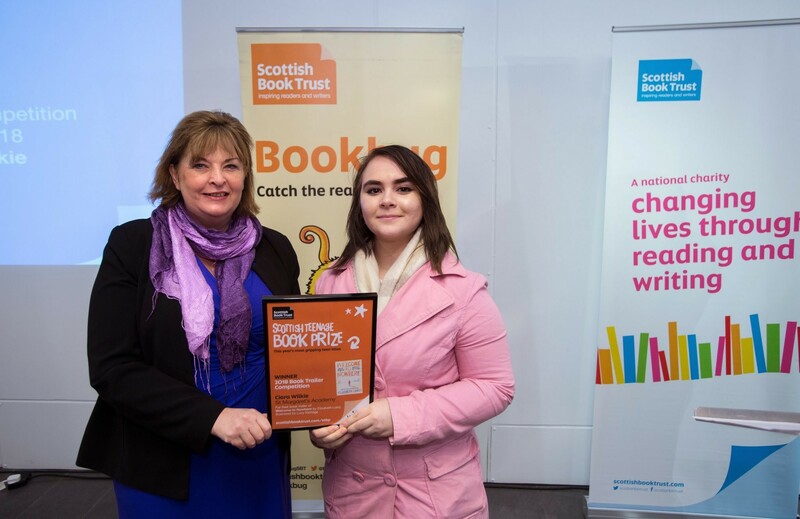 Local MSP Fiona Hyslop presented the Scottish Teen Book Prize for the 2018 Book Trailer Competition to Ciara Wilkie, of Winchburgh, at the Scottish Book Trust’s Award Ceremony for Children and Teenager’s Books on 6th March. “I was delighted to present Ciara with her award for winning this year’s Book Trailer Competition. Ciara wrote, filmed and edited her trailer for Elizabeth Laird’s Welcome to Nowhere, and the panel praised her highly for all aspects of her work.